Masrawy– On the morning of Oct. 21, 2016, 60 kilometers from Cairo in the Eastern governate a ceremony was held to mark the opening of a solar power plant backed with aid from the European Union. 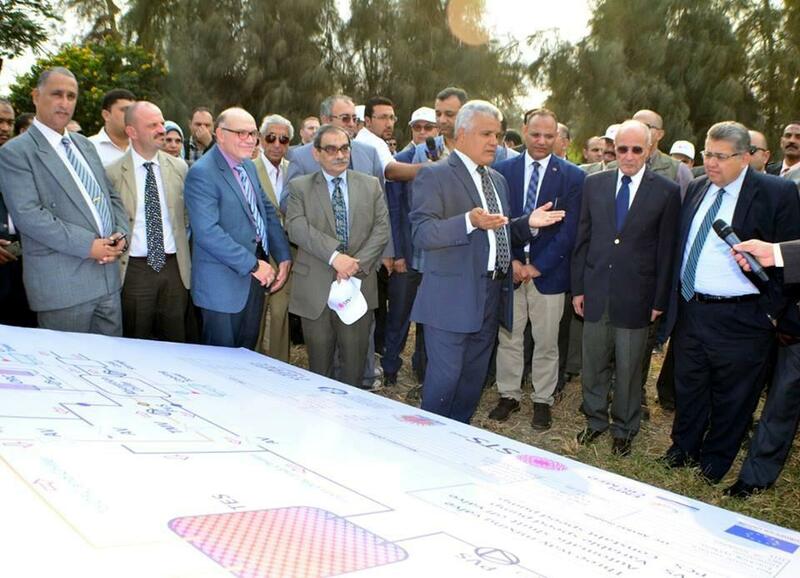 The Egyptian Academy for Scientific Research and Technology of the Ministry of Higher Education arranged the event in cooperation with the New and Renewable Energy Commission of the Ministry of Electricity, and an array of ministers and senior officials were on hand for the occasion. The cooperation agreement with the EU stipulated that the plant would benefit a public building, not a commercial or industrial establishment, but one involved in non-profit service. The reality didn’t match the agreement. The solar power plant opened on a project related to “SEKEM Investments Company”. The second largest shareholder in that venture is businessman Helmy Abu Al-Aish, who was sued for profiting from his position when he was head of the Ministry of Industry and Trade’s Modernization Center back before the Revolution of Jan. 25, 2011. He was obliged to pay back that profit to settle the law suit, which the media publicized under the headline: “Profiting from Industrial Modernization Position”. 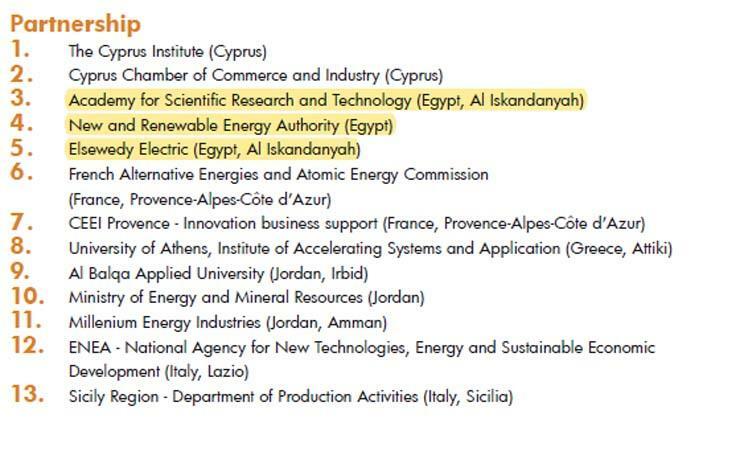 In 2014, two years before the solar power plant opened, the Scientific Research Academy – the governmental agency in charge of science and technology – signed with the “SEKEM Development Association” to carry out a solar power plant project supported by an EU program for neighboring Mediterranean countries. The experimental solar power plant was intended to demonstrate the effectiveness of small integrated systems using flexible tools for thermal energy applications to produce electricity, heating, cooling, and desalination. The EU put €1.25 million (about US$1.46 million) into the project to pay, according to the project’s financial monitoring report, for improving energy effectiveness in public buildings in Egypt, Jordan, Cyprus, and Italy. 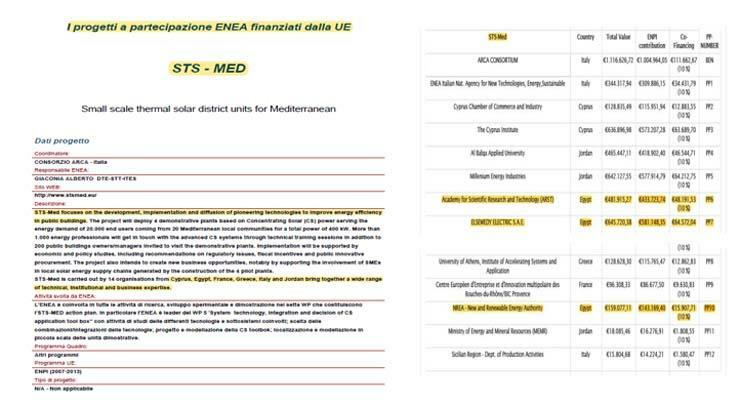 This investigation documents how the Scientific Research granted the right to benefit from the direct output of the solar power plant to SEKEM Medical Center (owned by SEKEM Investment Company), contrary to project objectives, and to the cooperation agreement signed between the Scientific Research Academy and the SEKEM Association. The project worked on setting up four solar power plants in Egypt, Italy, Cyprus, and Jordan with a view to introducing innovative technologies in the solar energy sector for servicing public buildings. As per the project’s final report, published on an official website, the four solar power plants were set up in public buildings. The buildings in Jordan, Cyprus, and Italy were plainly non-profit. However, the SEKEM Medical Center was different. Projects in two of the other countries were carried out on college campuses, Al-Balqa’a University in Jordan and University of Palermo in Italy. The third project was at a laboratory in a non-profit educational research institution in Cyprus. According to registration papers of the Sekem Association at the Ministry of Social Solidarity, it is a local non-profit association. On that basis, there is no apparent contradiction between the goals of the EU project and the cooperation agreement. This agreement was signed by Dr. Mahmoud Saqr, president of the Scientific Research Academy, and by Dr. Ibrahim Abu-Aish – the father of Helmy Abu -Aish, the founder of SEKEM and the largest shareholder of SEKEM Investments up until his death in June 2017. The Scientific Research Academy announced in press statements and in official papers prepared to introduce the solar power planet (a copy of which we have obtained) that the plant was built on SEKEM farm, an asset of the SEKEM Investment Holding Company, that includes an area dedicated to the association, SEKEM factories, SEKEM school, as well as, planted land. The academy said that the solar power plant station was connected to a medical center belonging to a civil association. Saqr confirmed this in a television interview in which he stated: “The station feeds a medical hospital belonging to a civil association.” However, the situation is not so clear. SEKEM Group’s organizational structure sets the association within the group’s social activities. Commercial records of SEKEM Holding Company registered in the database of the Egyptian stock market EGS690B1C011 and the Capital Market Authority with Commercial Register No. (3111), however, make is appear that the medical center is an independent and separate entity of the SEKEM Development Association, as it is one of the joint stock companies of SEKEM Holding Investment. The same applies to the University of Heliopolis, to which the academy assigned the task of supervising the solar power plants. Both the center and the university are registered among 14 joint stock companies within SEKEM Holding, each with a trade record of their own confirming that they do not follow the SEKEM Association. Therefore, the agreement was signed with SEKEM Association, as a non-profit association, but the benefit of the output of the solar power planet was provided to SEKEM Commercial Medical Center. The Scientific Research Academy received the Solar Project Grant as a key partner in the project in 2012, along with two other partners, the New and Renewable Energy Authority (MEWA) and the El Sewedy Electric Company, which supplied the project with building tools. In 2011, businessman Hilmy Abu-Aish was tried before the Cairo Criminal Court on charges of profiting from the Modernization Center Industries, under the Ministry of Commerce and Industry he headed before the Revolution. Helmy Abu-Aish case was reconciled after his lawyer presented a banker’s check to cover the amount of profit. Ali Ayoub, the lawyer at the High Court of Appeal and the State Council, says that reconciliation in cases of waste of public money does not erase the charge of profiting. On the contrary, a reconciliation is the refund of the money that has been seized, an evidence of the occurrence of the crime against the defendant. 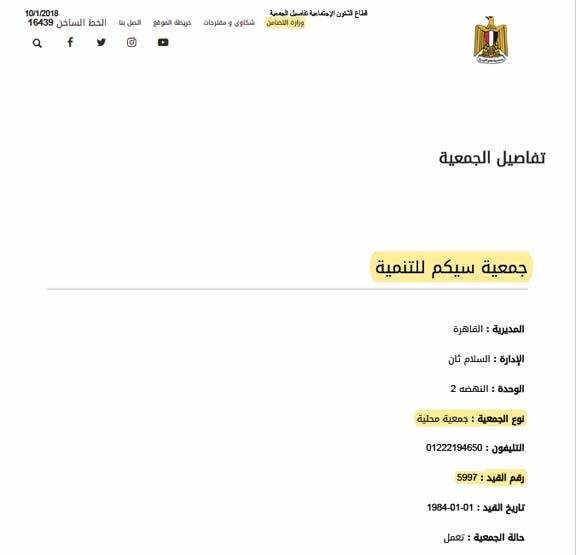 A document issued by the Canadian government (a copy of which we have obtained) pertains to the freezing of the assets of some former Egyptian regime members following the outbreak of the 2011 Revolution revealed the names of Hilmy Abu-Aish, his daughter Salma, and his German wife Kartamin Alenda in the list of frozen assets under the Mubarak regime. According to the terms of the cooperation agreement between the European Union and the participating parties, partners are excluded: “if (the participants) have been convicted of any insult or misconduct related to professional conduct through a final court judgment (e.g., non-appealable) … for fraud, corruption or participation in criminal activity or any other illegal activity that harms financial interests “. Why, then, did the Scientific Research Academy choose to implement the solar power plant on SEKEM land, to be the beneficiary of the experimental station’s output SEKEM Medical Center, a SEKEM holding company? We also sent an e-mail to the EU program Director Martin Hepel asking about the selection process. 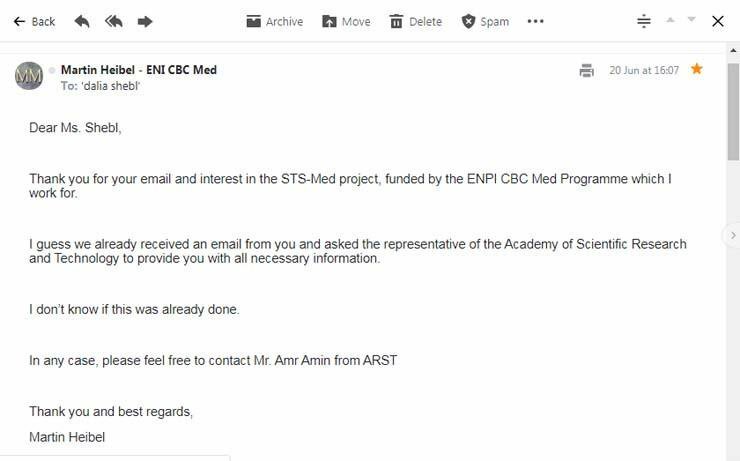 Our queries were forwarded to Dr. Amr Amin, principal researcher and project coordinator within the Scientific Research and Technology Academy. He was asked to provide us with the required information. Amin denied any knowledge of SEKEM violations or of freezing the assets of one of its most important shareholders, stressing that if he was aware of its legal status, he would not have agreed to choose SEKEM to implement the project. “We have formed a research team to select the host, and the team has chosen according to its technical vision,” Saqr, president of the Academy of Scientific Research, said in an interview on the mechanisms and criteria for selecting the host. The research teams selected by the Academy’s partners chose the University of Heliopolis, owned by SEKEM Holding, to sign seven cooperation agreements in various scientific and research projects between 2014 and 2018. 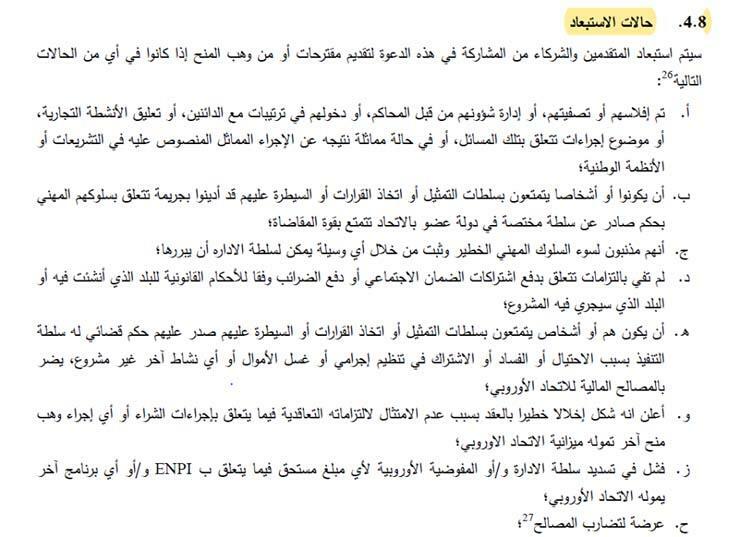 Saqr’s statement contradicts with an earlier TV interview conducted with him during the station opening. While the academy did not specify the selection criteria for SEKEM for granting the project originally allocated to public buildings, the supervisor of the solar power plant design team at Helwan University, Dr. Mohamed Anwar, said by telephone that, technically, “It could be applied in many areas. The solar belt area, making many of its areas suitable for solar energy applications, “denying the knowledge of the selection criteria of the SEKEM Center for the implementation of the solar power plant. Under the title “Cooling the SEKEM Medical Center with the Sun Card,” SEKEM confirmed that the solar field produces heat energy that is transferred to a heater/cooler and a generator connected to the public electricity grid to reduce general electricity consumption. 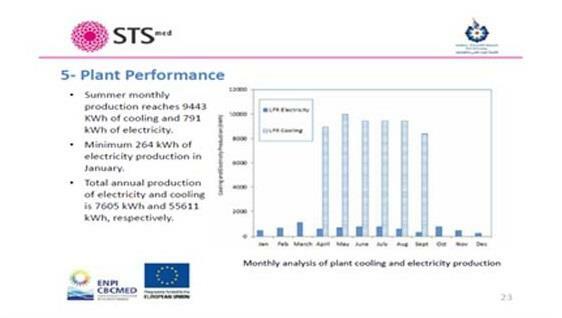 According to documents obtained from the University of Heliopolis, “The total annual production of the solar power plant of electricity and cooling is between 6,500 and 7,600 kilowatts per hour,” enough to electrify 50 houses with an area of ​​120 meters each, without a cooled air, according to Dr. Ahmed Hamza, a professor in the Department of Mechanical Engineering at Assiut University. 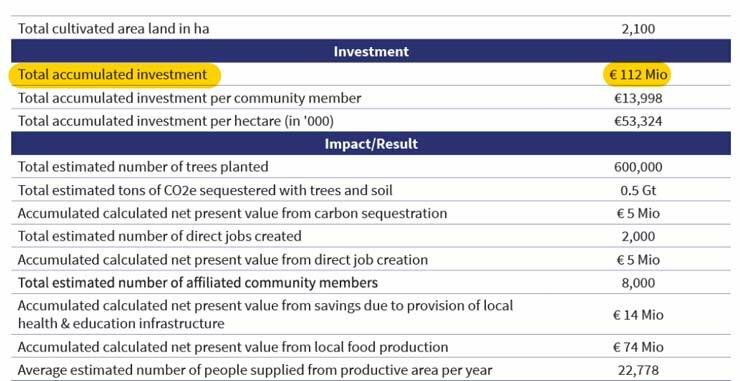 The grant, which was allocated by the program for public buildings, was wasted between the association and the company, eventually benefiting a company whose investments reached €112 million over the past 40 years, according to the company’s report in 2017. This investigation was completed with support from Arab Reporters for Investigative Journalism (ARIJ).